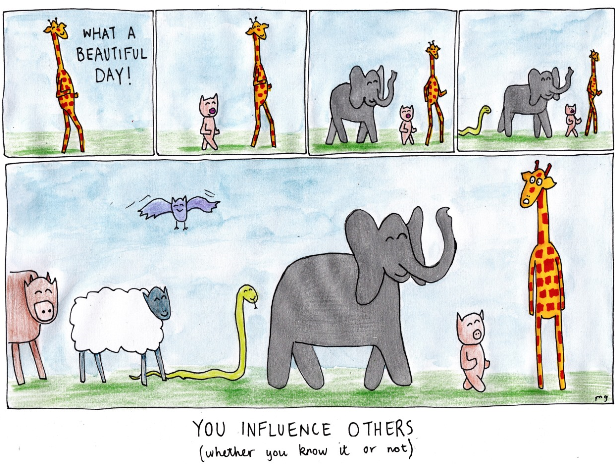 What kind of influence do YOU exert? Be A Positive Influence Always!! So uplifting – it’s a treat to see your posts everyday! Folks keep telling me I am their inspiration. I keep telling them, I’m not an inspiration, I just see what is around me, and help them to find it too. It is posts like this that I keep trying to point everyone to! Very refreshing and really creative!!! Can these drawings get any cuter?! ; ) Love your posts! Well motivating giraffe certainly influences me: I love it!